Jetzt unseren wöchentlichen Newsletter abonnieren und keine Lauv Veranstaltung mehr verpassen. In his early teens, Ari Leff picked up a guitar and started writing songs that uncannily captured all the nuance of heartbreak. “For whatever reason, before I ever had any sort of relationship, I had this weird obsession with writing love songs and breakup songs,” says the L.A.-based singer/songwriter/producer. “I remember being a kid and my dad asking me, ‘Why do you write all these sad songs all the time?’ But to me that’s always been one of the most beautiful ways to connect with people on a real level. There’s nothing like openness of being in love, and for me that vulnerability is maybe the most important part of being alive.” On “The Other”—Leff’s breakthrough single under the moniker of Lauv—that unguarded honesty instills a slow-burning fusion of R&B and indie-pop. Featured on Lauv’s independently released debut EP Lost in the Light, the quietly aching track shot to #11 on Spotify’s Today’s Top Hits playlist and has now amassed over 100 million streams on the platform. 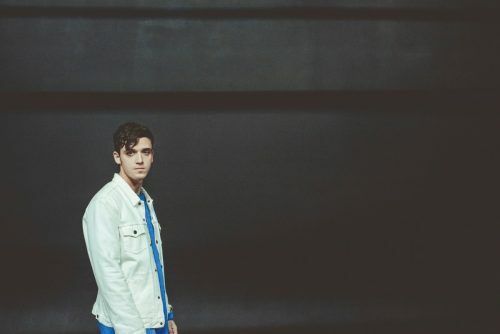 With “I Like Me Better” (a spring-2017 single that surpassed 100 million streams in three months), Lauv offers up a more uptempo track built on gracefully sculpted beats and shimmering melody. But even with its brighter mood, “I Like Me Better” still delivers the soul-baring lyrics and intimate vocals that perfectly reflect Lauv’s artistic mission. Born in San Francisco, Leff moved around the country throughout his childhood and learned to play piano and viola as a kid. Once he’d taken up guitar and thrown himself into writing those heart-on-sleeve love songs, he started a solo indie-electronic project that included booking his own tours. After high school, Leff began studying music technology at New York University, where he immersed himself in production and ended up signing to the publishing company Prescription Songs. During his college years, Leff strayed from his intensely personal work and shifted his focus to writing and producing for other artists.